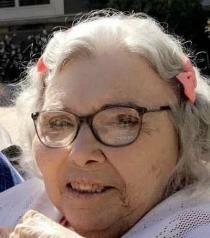 June Elaine Dyer Rice, 86, born on May 31, 1932, passed away on November 6, 2018. She is survived by her husband of 63 years, Donald Delbert Rice; five children and their spouses; 14 grandchildren and two great-grandchildren, as well as many who call her mom. June was preceded in death by her two sons and one grandson. She was a P.O.W. during World War II in the Philippines for four years. She was the daughter of S.D.A. missionaries, Harlan L. Dyer and Althea C. Dyer. June and Donald Rice were married on June 6, 1955, and were foster parents for more than 50 years to more than a 180 children. They resided in Fort Payne, Al., for the last 20 years. There will be visitation from 11:30 a.m. – 1:30 p.m. on Monday, Nov. 12, at Turner Funeral Home at Highway 58. The funeral will follow at 1:30 p.m. with Elder Marvin Glass officiating in the Turner Funeral Home Chapel.